Remanufactured Lexmark Toner Cartridge, Cyan, 6,000 page yield. Replaces Lexmark part number: C734A1CG, C734A2CG. Color Laser Toner Cartridge compatible with Lexmark C734, C736, X730, X734de, X736de, X738. This cartridge installed very painlessly and required no special action on my part. The print quality was very good. Remanufactured Lexmark Toner Cartridge, Magenta, 6,000 page yield. Replaces Lexmark part number: C734A1MG, C734A2MG. Color Laser Toner Cartridge compatible with Lexmark C734, C736, X730, X734de, X736de, X738. Remanufactured Lexmark Toner Cartridge, Yellow, 6,000 page yield. 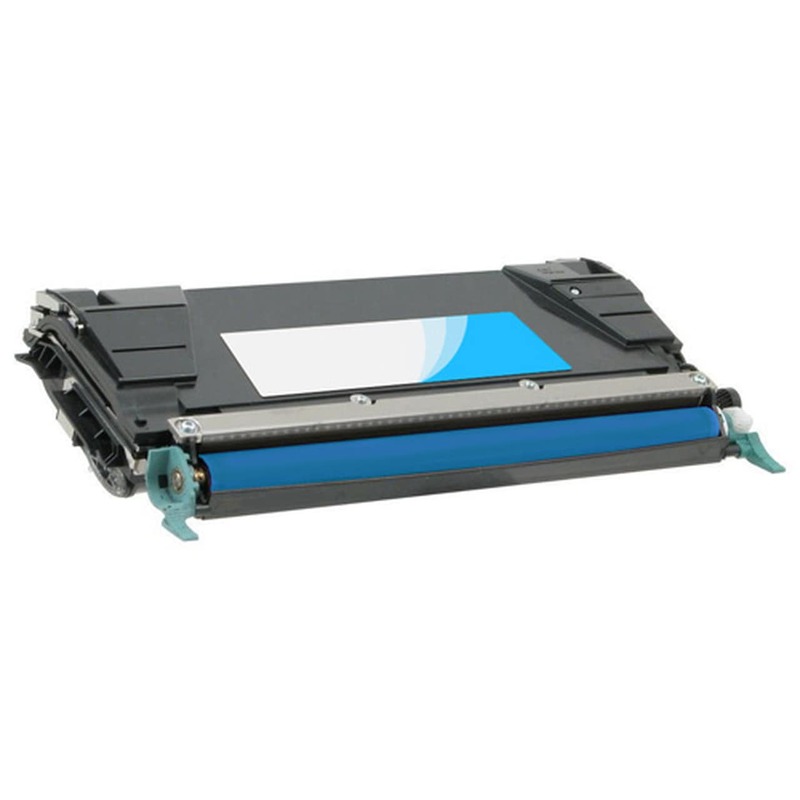 Replaces Lexmark part number: C734A1YG, C734A2YG. Color Laser Toner Cartridge compatible with Lexmark C734, C736, X730, X734de, X736de, X738. Remanufactured Lexmark Toner Cartridge, Black, 8,000 page yield. Replaces Lexmark part number: C734A1KG, C734A2KG. Laser Toner Cartridge compatible with Lexmark C734, C736, X730, X734de, X736de, X738.